An iPad exploded at the Apple Store in Amsterdam on Sunday as a result of an overheated or leaky battery, reported Dutch outlet AT5. No one was injured, although three people at the store were treated for respiratory problems after the event. It’s unclear if the tablet burst into the flames: Apple staff at the store were quick to place the device in a container filled with sand. The iPad is said to have continued to emit vapors of some irritating substance, which affected three people there. The city’s fire brigade had subsequently arrived on the scene, and the Leidseplein store was evacuated. Business resumed by 3PM, and customers were allowed back in. 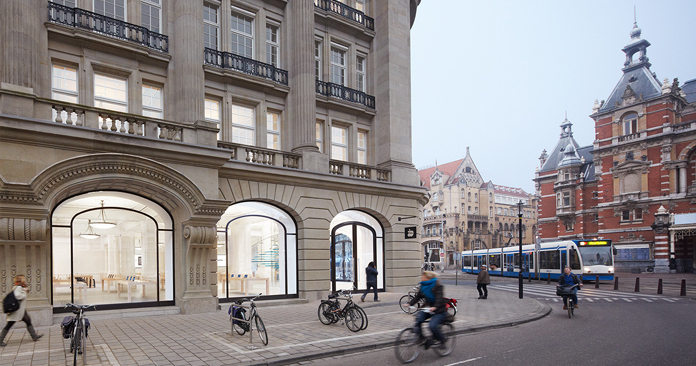 Although Apple hasn’t often found itself in the news over exploding products, it did make headlines back in January, when an iPhone battery overheated and caused the handset to explode at a showroom in Zurich – causing minor burns to a repair worker.